A list of the things (books and non-books) that I am wanting this week. About the Book: (from Amazon) For Nora Grey, romance was not part of the plan. She's never been particularly attracted to the boys at her school, no matter how much her best friend, Vee, pushes them at her. Not until Patch came along. 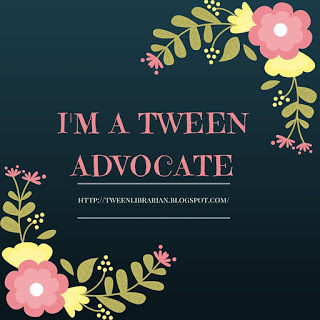 GreenBeanTeenQueen Says: The cover is amazing, the plot sounds incredible, and Becca is super nice. I can't wait to read this one! EmiJay hair ties. (sorry for lack of pics) Curse you I Heart Daily! Every day I find something else I love and must have. But seriously, how cool are these? Two teen girls designed cute affordable hair ties in adorable colors. I wish I would have been that inventive as a teen. About the Book: (from Audible) For 17-year-old actress Kelley Winslow, faeries are just something from childhood stories. Then she meets Sonny Flannery, whose steel-gray eyes mask an equally steely determination to protect her. This year, as the time approaches when the Samhain Gate will swing wide and nightmarish Fae will fight their way into an unsuspecting human world, something different is happening... something wondrous and strange. And Kelley's eyes are opening not just to the Faerie that surround her but to the heritage that awaits her. Now Kelley must navigate deadly Faerie treachery, and her growing feelings for Sonny, in this dazzling page-turner filled with luminous romance. GreenBeanTeenQueen Says: I love audiobooks and I think this one would be great on audio (for some reason I really enjoy fantasy books on audio). Plus, it's read by the author which I think is cool. Check it out on Audible! i'm with you on that one Sister?!!? HUSH HUSH is my next most coveted read. Hush, Hush is one of my favorite covers of all time! Thanks for choosing Hush, Hush for Want it Wednesday! Hush, Hush looks like such a graet read! I can't wait till it's released. I Heart Daily definitely shows off some really cool stuff. Today, when I opened up their newsletter, it talked about how in Sierra Leone girls could get a scholarship if they stayed virgins. It was a very interesting article. Hush, Hush sounds amazing. I can't wait for it to be released! I absolutely cannot wait for Hush, Hush!!! It looks soooo amazing. ooooh! Hush Hush is right at the top of my want-list at the moment. Looks so great. 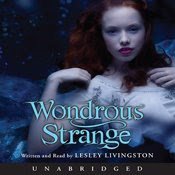 And Wondrous Strange was a great read - you're right, it would sound amazing on audiobook! This book looks really good, I've added it to my wish list! Mm mm mm, Hush Hush! !